The winter/spring 2019 issue of Oregon Sea Grant’s newsletter is now online. Interns aim to help Oregon companies reduce waste, save money. 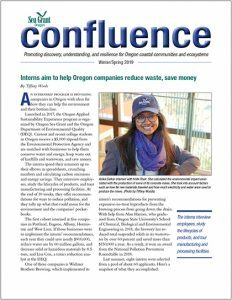 An internship program is providing companies in Oregon with ideas for how they can help the environment and their bottom line. PSU researchers find suspected microplastics in Oregon oysters. Researchers at Portland State University have found what they think are tiny plastic fibers in about 120 Pacific oysters from the Oregon coast. Tours show consumers how to buy seafood from fishermen and markets. Oregon fishermen and seafood sellers are reaching new clients, thanks to free, guided tours of docks and markets that demystify the process of buying seafood. Tourism expert helps outdoor recreation companies on Oregon coast. Miles Phillips helps coastal tourism businesses be successful, particularly those involved with outdoor recreation. 6 Oregon salt marshes have stayed ahead of rising sea, study says. A handful of salt marshes in Oregon have been gaining height at a rate that has outpaced the rising sea – a finding that bodes well for their ability to survive and store carbon amid a changing climate. Want to receive the next issue of Confluence in your email? Click here. COOS BAY, Ore. – Registration has opened for Oregon Sea Grant’s annual State of the Coast conference, which will be held Oct. 27 in Coos Bay. 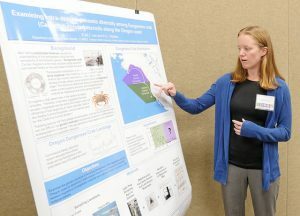 Billed as Oregon’s coastal conference for everyone, the event aims to bring together the public, scientists, fishermen, resource managers, artists, teachers, students and conservationists. Attendees will have the opportunity to learn, network and talk about the current status and future of Oregon’s marine environment. Kean’s talk is titled “A Sense of Wellbeing or Danger: How the brain perceives and creates a coastal scene.” He will unpackage how the brain works, using examples from the natural world to demonstrate how our senses work together and how memory is processed in the brain. an effort to build a wave energy test facility off the coast of Newport, Ore.
Presenters will include state Sen. Arnie Roblan; wildlife photographer Jaymi Heimbuch, and Doug Helton, an emergency response supervisor with the National Oceanic and Atmospheric Administration. Additionally, students from OSU and other universities in Oregon will talk about their coastal research. Coastal-themed artwork created by university students will also be displayed during the conference. Registration in advance is recommended as space is limited. Cost is $40 for the public and $25 for students. It includes snacks, lunch and a reception. 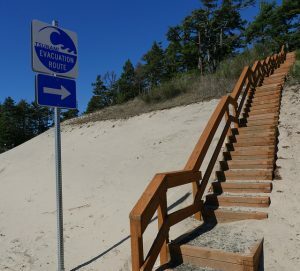 The conference begins at 8:30 a.m. and concludes with a reception that starts at 3:50 p.m. For more information and to register, visit www.stateofthecoast.com. The event will take place at the Hales Center for the Performing Arts (Empire Hall) on the campus of Southwestern Oregon Community College at 1988 Newmark Ave.
Oregon Sea Grant has awarded $54,000 to two graduate students at Oregon State University and a Portland State University alumna to assist them with their research and environmental management work. 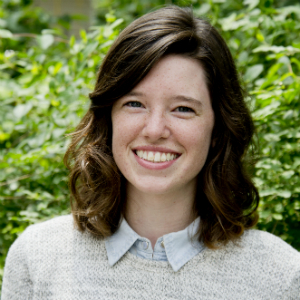 OSU graduate students Emily Mazur and Erin Peck are recipients of the 2018-19 Robert E. Malouf Marine Studies Scholarships, and PSU graduate Bryn Hudson has been awarded a 2018-19 Natural Resource Policy Fellowship. Mazur completed a bachelor’s degree in marine science and biology at the University of Miami, where she also minored in marine policy. 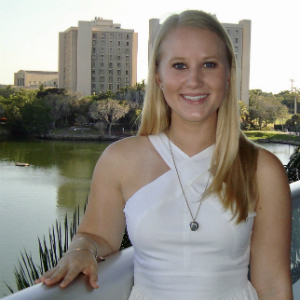 She is working toward a master’s degree in marine resource management at OSU. She will be working with the National Oceanic and Atmospheric Administration to better understand how agencies can convey important weather, ocean and climate information to Oregon scientists. Peck earned her bachelor’s degree in environmental science from Franklin & Marshall College in Lancaster, Pennsylvania, and her master’s from OSU’s College of Earth, Ocean, and Atmospheric Sciences, where she is working toward a doctorate in ocean ecology and biochemistry. Her research aims to identify the main factors affecting sediment accumulation and carbon burial in Oregon’s salt marshes and to determine the marshes’ resilience to sea-level rise and human-caused land-use changes. Hudson holds a bachelor’s degree in aquatic biology with a minor in educational studies from the University of California, Santa Barbara, and a master’s degree in environmental science and management from Portland State University. She will work with the Governor’s Natural Resource Office, helping to implement and advance the governor’s natural resource and environmental agenda. In addition, she will assist state departments in managing issues and advancing their budget requests and legislative proposals. The position also involves providing critical support on coastal issues such as water quality, ocean acidification and hypoxia, sea-level rise, marine renewable energy, planning for rocky shores, invasive species and marine fisheries. 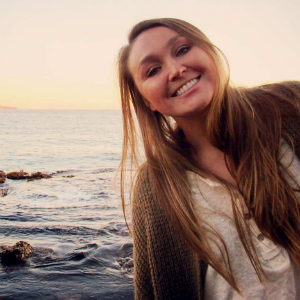 PSU grad Bryn Hudson will work with the Governor’s Natural Resource Office on a variety of tasks and issues. The Malouf Scholarship is awarded to graduate students who combine societally relevant research with education or public engagement. The students may be enrolled at any college or university in Oregon while working toward a degree in any field compatible with Oregon Sea Grant’s strategic plan. The yearlong scholarship is named for Robert E. Malouf, who was the director of Oregon Sea Grant from 1991 until his retirement in 2008. The 2018-19 award is $10,800. The scholarship begins October 1, 2018, and ends September 30, 2019. The Natural Resource Policy Fellowship, also a year in length, is intended to give a graduate student first-hand, full-time experience in natural resource policy at the state level. In so doing, the student contributes to policies that benefit natural-resource managers, coastal community members, and user groups such as fishermen. The fellowship pays $32,400 for the year, which also begins October 1, 2018, and ends September 30, 2019. The fellowship and scholarships are all funded and administered by Oregon Sea Grant. Researchers at Oregon State University have launched a 3.5-year project funded by Oregon Sea Grant that aims to help coastal towns become more resilient to storms, earthquakes, tsunamis and a rising sea. 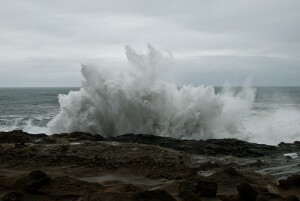 Oregon Sea Grant is providing nearly $900,000 in funding. Launched in July, the project is led by Peter Ruggiero, a coastal geomorphologist in OSU’s College of Earth, Ocean, and Atmospheric Sciences. develop an interactive Web portal that will provide decision-makers and the public with information on how to increase coastal resilience. Pat Corcoran, a coastal hazards specialist with Oregon Sea Grant and the OSU Extension Service. The project will conclude in 2022. 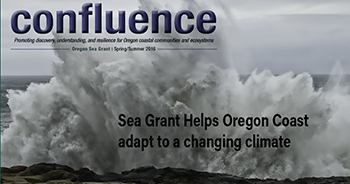 The spring/summer issue of our Confluence newsletter is online, with stories about Oregon Sea Grant faculty and funded researchers who are working to understand how a changing climate will affect the region, and what coastal communities can do to adapt. Although ocean acidification and hypoxia are global phenomena, the US-Canada West Coast will face some of the most severe changes, with impacts extending through marine food webs and threatening ocean-dependent industries and coastal communities. So says a report released today by a panel of 20 scientific experts from Oregon, California, Washington and British Columbia charged with summarizing what’s known about the problem and what options the region has for coping with it. Acidification and hypoxia will have severe environmental, ecological and economic consequences for the West Coast, and will require a concerted regional focus. There are actions that can be taken to lessen exposure to acidification, and to enhance the ability of ecosystems and organisms to cope. Investing in acidification science will expand the available management options. Inaction now will reduce those options and impose higher costs later. Among the panelists are Oregon State University researchers Frances Chan, who co-chaired the group, George Waldbusser, Burke Hales and Jack Barth, all of whom have received research funding support from Oregon Sea Grant. The panel’s report provides a comprehensive analysis, along with technical guidance for ocean program managers and a summary of foundational science about how acidification and hypoxia affect individual species, populations and ecosystems, the science needs of managers and challenges and opportunities in the realm of water quality. Over the next 85 years, temperatures in Oregon’s Willamette River basin are expected to rise significantly, mountain snowpack levels will shrink dramatically, and the population of the region and urban water use may double – but there should be enough water to meet human needs, a new report concludes. Fish may not be so lucky. Although ample water may be available throughout most of the year, the Willamette Valley and its tributaries likely will become sufficiently warm as to threaten cold-water fish species, including salmon and steelhead, the scientists say. These are among the key findings of the Willamette Water 2100 Project, a five-year, $4.3 million study funded by the National Science Foundation and led by Oregon State University, in partnership with researchers from the University of Oregon, Portland State University and University of California at Santa Barbara. Oregon Sea Grant’s Sam Chan, who specializes in watershed health and invasive species, led the “broader impacts” outreach effort for the project. How Soon Do We Have to Think Differently?
. . . How Should We Adapt? . . and the overarching goal of having Community Resilience. 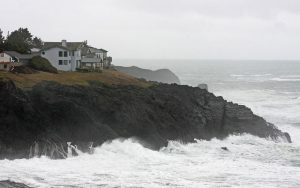 The videos, intended primarily for those involved in or concerned about the issues that adapting to climate change presents for coastal areas, were produced by Oregon Sea Grant with the cooperation of a range of climate researchers and coastal professionals who are interviewed on camera. The themes of the videos emerged from surveys, interviews, and workshops conducted by Sea Grant and partners in the last few years. Coastal professionals in other states, as well as in Oregon, may find the perspectives and insights of these videos useful or provocative.